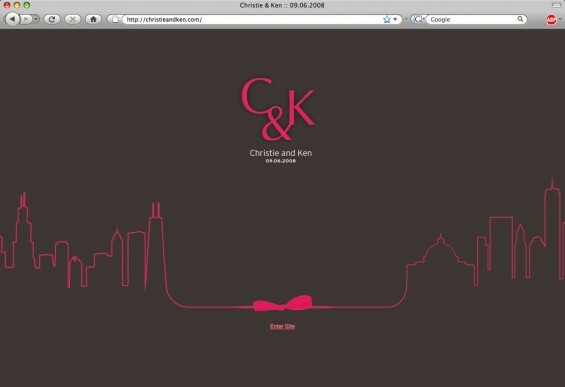 Shortly after they got engaged, Ken and Christie asked designer Heena Ko and me to build a wedding website for them. The couple lived in Chicago, but their families were from the Boston area. They wanted a space to post information about their wedding so that their friends and family could access it easily from any location. 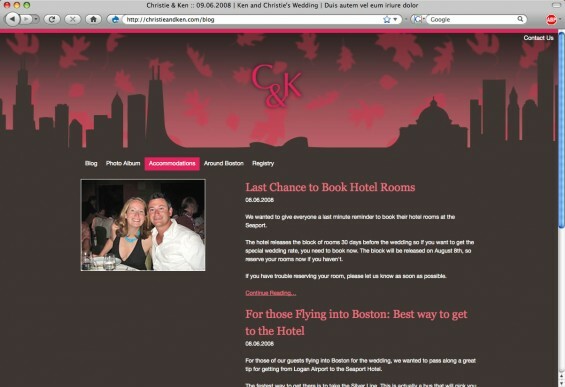 Heena and I worked together to create an inviting site where Ken and Christie could post wedding information. 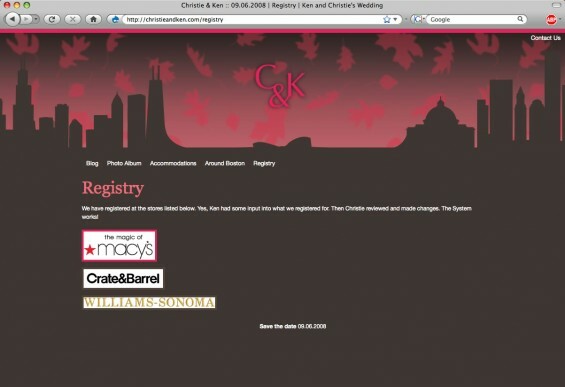 Heena designed the site to reflect the couple’s ties to both Boston and Chicago. Her design presented some development challenges that I enjoyed tackling.